We always make a lot of preparations when making a local move from one house to another. We will carefully select the moving company, pack everything immaculately, and maybe even plan the arrangements in the new house in advance. When it comes to selecting the time of the move, convenience is pretty much all we think about. We only think about which time will be the most suitable for us, when all of the family members will have days off from work or school and even have days to spare that can be spent in arranging everything in the new house. As it turns out, that may not be the best approach. Most of us will often consider the summer vacations or the weekends as the perfect time for moving and although that does ensure that everyone involved is free and can help with the move, it will probably end up costing you a lot of money. You see, moving companies work on one very simple rule: the busier the time of the year, month or week, the more you will be charged. You could also find that, despite the high charges, the movers are unable to provide their services because people have booked them months in advance. There are many reasons why the time of your local move has an impact. For example, surveys tell us that more than half of all Americans prefer renting a house over buying and owning one. While some simply find the freedom of rentals appealing, others are unable to afford a house. But what is the connection between apartment hunting and moving? Well, it all has to do with timing. Because many people prefer moving from May to September, you can find a lot of apartments to rent that has just been vacated, although because of the demand, the price will likely be high. On the other hand, if you want to save money, you should go for winter months because the demand is low, so you can negotiate prices with ease. Many other factors also come into play, some of which we will discuss later on in the blog post. But at the end of the day, your preferences will decide when and how you will move. Here are some of the best times to consider scheduling your relocation so that you can experience utmost comfort and ease. What Month Should I Move In? Statistics show that roughly 50 million Americans move each year and, as mentioned above, more than 60% of these moves or relocations take place between May and September. The reason? People, especially families, choose this time of the year as it allows them to move without disruption. Their school-going children have summer vacations and this ensures that their education will not be disturbed due to the relocation. If that is important to you, this would be a good time to move. However, as you already know by now, the busier the moving companies are, the costlier it is going to be for you to hire them. The huge number of people moving to their new houses and apartments makes this the busiest time of the year for the moving companies. 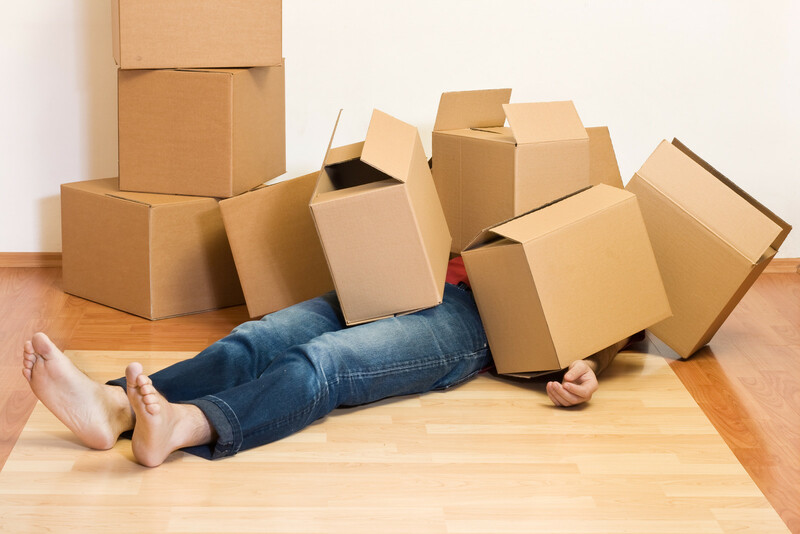 If you’re planning your move ahead of time like you should, try to avoid these months. It might be more convenient for you in terms of the amount of hassle involved, but if you can be a little flexible about the dates, it will surely help you save a lot of your hard-earned money. Is There a Specific Time of the Month that is Feasible? Yes, even choosing the right time of the month when moving is very important when you want to save as much as possible. As it happens, most leases and rent agreements start from the beginning of the month. This makes the beginning and end of the month the busiest time, thus, also the costliest. As most people move around these times, it again results in a higher demand and higher rates from the moving companies. You can be smart about it and avoid these costs by simply choosing a moving date that lies somewhere near the middle of the month. If your lease agreement has started and your moving date is set for the middle of the month, you can use this time to move small and light stuff by yourself into your new apartment or home. Maybe also take care of some decorations while you wait for the moving day to arrive and finally move into your new house. What is the Best Day of the Week to Move? While weekends may seem like a great time to move, they will most certainly cost you a lot more. As most people try to move on the weekend, it creates a higher demand and, as a result, moving rates are higher. Moving on the weekend may seem convenient in that you would not have to take time off from work to relocate, unpack, get organized, and even rest a little before returning to work. However, if you can manage to take some time off from the office during the week or manage to make it happen some other way, the weekdays are a much better time for the move. Because the largest number of relocations happen between Thursday and Sunday, the ideal day for you could be a Monday, Tuesday or Wednesday as this will get you the best rates and help you save some cash. What Time of the Day Should I Start? Choosing the time of the day might not necessarily save you money but it will definitely save you a whole lot of effort. Early morning is often recommended as the best time to move and quite rightly so. Early mornings tend to be cooler, especially when you’re moving in the summer. This also ensures that you are fresh, more active, and filled with energy to take the task of moving head-on. The physical effort required is also somewhat reduced due to lower temperatures early in the morning. The best part, however, is that it leaves you with plenty of time to unpack, get organized, and start enjoying your new place. Apart from the day, week, and month, there are other factors that you should consider when selecting the ideal time to move. We discuss some of these below. 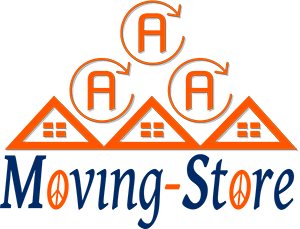 If we talk about the weather, then spring and fall are easily the best seasons to move but they will definitely cost you more. 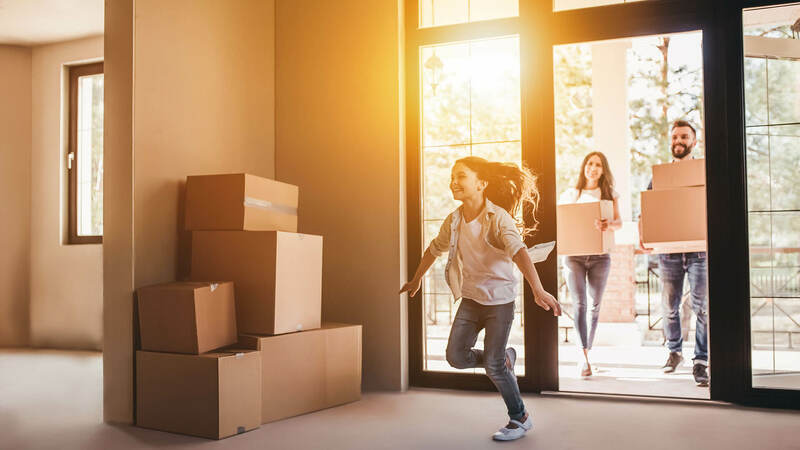 Depending on where you live and where you’re moving to, the weather can be a major factor that you should consider when deciding when to move. Winter is extreme in some parts of the country so if you’re currently residing in or planning to move to such an area, then winter is a big no as the days are short, the conditions dangerous, and energy levels low. On top of that, moisture is your enemy if you’re moving long distances, so make sure your moving company can take care of that before you plan to move in such weather. Families with children, especially those that are of school-going age typically choose the summer vacations to move. This is due to two reasons. One is that their kids are home from school and that makes it much more convenient to move. They can help you pack, move, and unpack in your new house. It can be a great help to have a few extra helping hands around. The second reason is that your children are out of school and they can start fresh in their new school when the school year starts. It allows the children to adjust to their home and neighbourhood before they start at their new educational institute. National holidays, as well as other days off, are another factor you should take into account when moving. Depending on the holiday, there could be a lot of traffic on the road which can become a real headache when moving. Holidays tend to have more traffic on the road than other days of the year. If you’re moving to a completely new area or city, you might want to avoid moving right before major holidays. In addition to that, moving well before a holiday can let you get acquainted with your new community so that you can better enjoy the celebrations as part of it. These are all highly useful tips and suggestions to keep in mind when choosing a date and time to make a local move. You might have personal or unique factors that restrict you in your decision but if you have the option of being flexible about choosing when to move, following these tips can ensure your relocation goes smoothly, without burning a hole in your pocket.